The Cosumnes River is an important gold bearing river traversing through El Dorado and Amador counties in Northern California. The river originates from the western slope of the Sierra Nevada Mountains and flows for about 50 miles through the Central Valley, before emptying in the Mokelumne River. The river is divided into three major forks; the south fork, the middle fork and the North fork. Each of the forks was dotted with gold claims in the 1850s with miners coming in from all over the world. The river had a number of mining towns along its reach, including sites such as Playmouth, Sloughhouse, Elk Grove, Racnho Murieta and Wilton. The following were some of the major mining centers on the river during the height of the California Gold Rush. 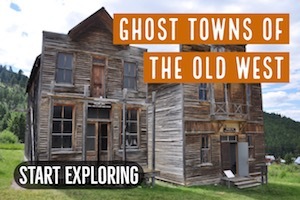 This was an important gold mining center in the 1850s that was home to hundreds of miners. The site is located about 25 miles southeast of Placerville towards the Eldorado-Amador county border on the South Fork of the Cosumnes River. The Diggings were established in 1850 by Fiddletown prospectors who discovered the site where Miwok Indians were panning for gold. By 1851 there were over 100 cabins, gambling houses, saloons and stores at the Indian diggings. A post office was opened at the center in 1853 and by 1855 the population had swollen to over 2000 people. The Indian diggings prospered until 1870 when hydraulic mining was banned in California and most of the miners left. At Indian Creek was one of the richest sections in gold on the Cosumnes River. Most of the mining was by hydraulic mining and tunneling techniques although basic placer mining techniques were also common around the area. The mining water was by Cedarville and Indianville ditches built in 1852 from the south Fork of the Cosumnes River. The Indian diggings camp was also an important trading center to nearby mining sites such as the Brownsville, the Fairplay, the Pokerville, the Cook’s Bars, the Cedarville and the Arkansas Diggings. This was another important mining town on the North Fork of the Consumnes River. It is located at about ten miles to the southeast of Placerville. The Grizzly flats town grew as a result of the quartz and hydraulic gold mining along the Consumnes River. Today the Grizzly Flat district is located in south central El Dorado County and is about 25 miles east of Placerville. 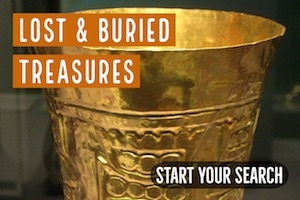 With further gold discovery around its site, the town continued to grow. Some of the major mines around the Grizzly Flats include the Mt. Pleasant mine which was established in 1851. The area surrounding Grizzly Flats was rich in both lode and placer mines with mining being done well into 1900s. Just next to the historic settlement of Nisenan sits the site of the Michigan Bar along the Cosumnes River. Michigan Bar was established in 1849 when two men from Michigan discovered gold on the Cosumnes River close to the site. With the richness of gold in the river, Michigan Bar grew rapidly to become one of the largest towns on the Cosumnes River with over 1500 people in mid 1850s. But, by 1900 the town had declined and most of it was destroyed by hydraulic mining and the subsequent river dredging. Today the Michigan Bar Mining District covers a wide area that encompass the original towns of Sloughhouse and Michigan Bar and the surrounding areas. It is reported that over 1,500,000 ounces of gold were mined in the district between 1849 and 1950s, an exceptionally rich region even during that time. Most of the mining was done by hydraulic mining, ground sluicing and dredging techniques. Today many gold hunters still prospect for placer gold along the Cosumnes River around the original site of the Michigan Bar. Bucks Bar was another important mining center on the North Fork of the Cosumnes River. The name was informed by the fact that the bar was discovered by male Indians (who were often referred to as Bucks during that time) that had turned to gold mining in the area. The Bar is located east of Diamond Spring on the banks of the Cosumnes River. Mining around Bucks Bar was done by hydraulic mining and sluice techniques using water brought in via ditches from nearby Camp Creek. The Bucks mining camp flourished in 1850s but like most other mining centers in California faced decline in 1860s when the miners moved elsewhere. The Eldorado National Forest covers much of the Cosumnes River. The forest itself is about 677,255 acres in size and has 49 developed campgrounds, many of which provide recreational activities including gold panning. Contact the local forest offices where you want to prospect for updated information on panning opportunities. The most popular gold panning sites include the areas around the Cache Rock and the Pi Pi campground. The Pi Pi campground stretches along the Middle Fork of the Cosumnes River and is a favorite among gold hunters. Capps Crossing is a good location to prospect for gold on the Cosumnes River. It is situated on the North Fork of the river at an elevation of about 5100 feet next to the Eldorado National Forest. Here you get a chance to prospect for gold on the river enjoy bid watching, hiking, rock climbing or just camping under the shade of the fir and cedar trees. The richness of the Cosumnes River is quite well known, but there are many other areas in the surrounding forest that are extremely rich too. The early miners worked many of these areas using ground sluicing and other placer mining methods, but there were other areas that were completely overlooked. Gold prospectors today can successfully find gold be exploring these lesser known tributaries of the Cosumnes River. 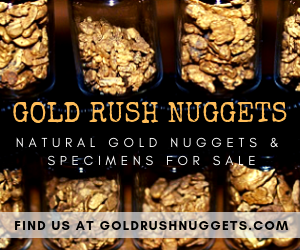 Even dry gulches with no perennial water flow will still accumulate placer gold. 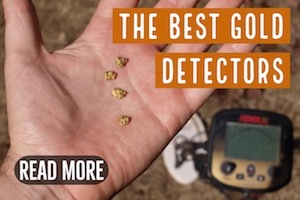 One of the best ways to find this type of gold is by metal detecting, which allows the prospectors to explore these areas without water and locate gold nuggets. Drywashing is another method that can be used, but the soil needs to be fully dry for this to work properly, generally just for a few months during the summer. 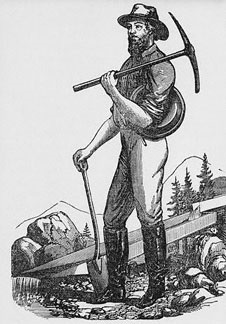 Traditional placer mining techniques like gold panning will work just as well today as they did for the early miners along the Cosumnes River and its tributaries. They may have gotten most of the easy gold, but will some hard work you can still recover a considerable amount of gold in this area today. While most prospectors today focus their attention on placer gold, there are many hard rock mines in the mountains around the Cosumnes River. Many of these old mines still have high-grade ore. 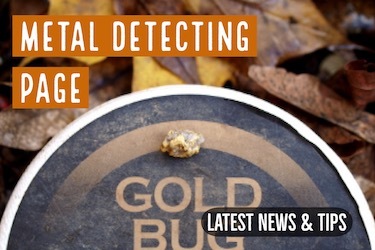 Using a metal detector to locate specimens around old mine dumps is something to consider. Be aware that there are a considerable number of active mining claims in this part of California. Always do your research to ensure that you are not prospecting on someone else’s valid claim. 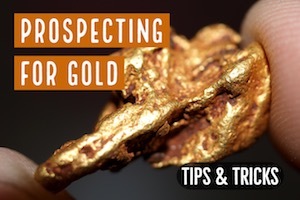 You can still do many activities on mining claims, but you cannot legally prospect for gold or minerals. You will need to locate areas that are not claimed.